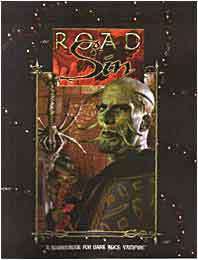 The followers of the Road of Sin are reviled, sometimes tolerated, and sometimes persecuted. But rare is the Cainite who, his Beast howling for sweet vitae, has not given in to that longing. The Sinners have been soothing that Beast for centuries - they know that mastery of the Beast is an illusion. Only through acquiescence can one be truly free. Only through sin can a Cainite know peace. Only on the Via Peccati can the Damned ascend. In the fourth of the Road Books for Dark Ages: Vampire, the secrets of the Road of Sin, the most mysterious and sinister of the major roads, are finally revealed. Herein, find the tempters, torturers and defilers of the Cainites - their history, their rites and practices, and their theories on how damning their souls may save their sanity.